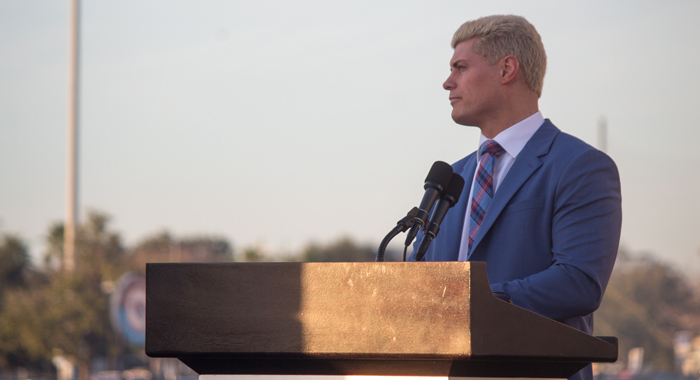 Cody Rhodes recently conducted an in-depth interview with ESPN regarding All Elite Wrestling where he spoke about how the company came about and more. “A lot of what happened stemmed from me, Matt and Nick [Jackson, The Young Bucks] doing All In. We have just the time of our lives and get a lot of great what I guess I call “consumer feedback” from fans for Starrcast, Conrad Thompson’s event, and our event All In. It just seemed to be this kind of renaissance, Woodstock for wrestling, and I just had the idea of, “What if we did this more? What if we did this quarterly or what if we potentially did this weekly?” Everyone said you can’t do that, and I don’t believe that.